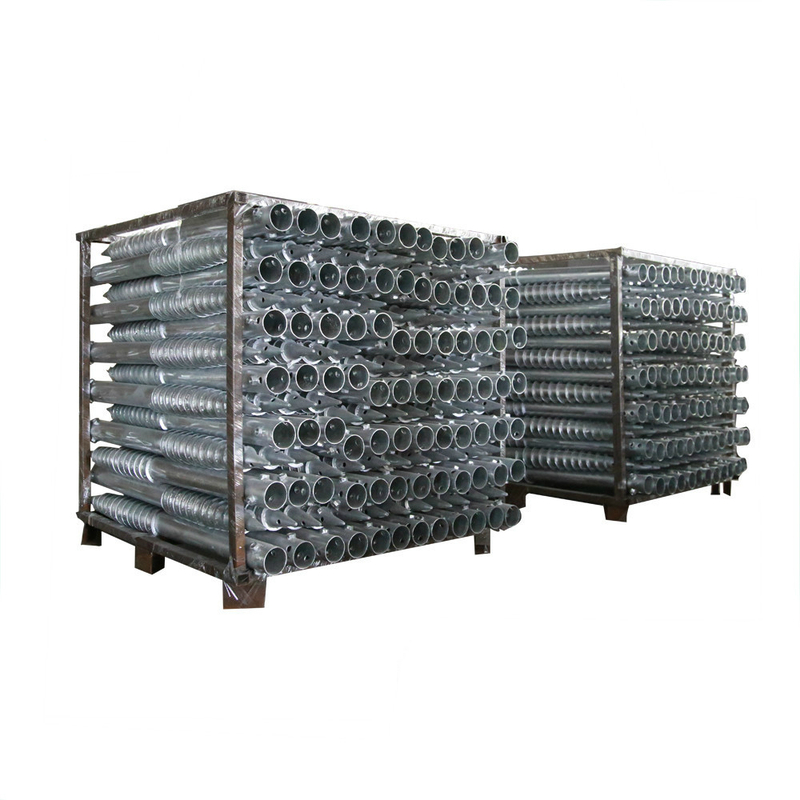 Product categories of N Ground Screw, we are specialized manufacturers from China, N Ground Screw, Ground Screws For Garden suppliers/factory, wholesale high-quality products of Galvanized N Ground Screw R & D and manufacturing, we have the perfect after-sales service and technical support. Look forward to your cooperation! N type Ground screw is one type Screw Pile with nuts on the top of pipe. In general, we have Ground Screw with three nuts. If customer needs, we can make four or six or more nuts as customer requirements. We can produce ground screw with three nuts on one horizontal line and also can make them on different horizontal lines. The location and qty of nuts can meet customer own requirements. Under the nuts, you can see two holes. The two holes are used for metal bar to help you screw easily. N type ground screw is suitable for wire mesh, flag pole, solar panel mounting brackets, mail box, advertising boards and etc.